Google, the internet search giant seems to be riding the waves. Every other day we witness a climb in the ratings of the wide range of products which Google offers. A recent report revealed that the Android OS which is now being implemented on most of the smart phones is gaining popularity, becoming a challenge for Nokia which has the majority of market share in the Mobile OS market. Research firm, Gartner Inc., are expecting that the Google Android Smart Phone Operating System would leave behind Apple’s iPhone, Research In Motion’s BlackBerry and Microsoft Windows phones, globally. By the end of the year 2010, the Android would claim to be the world’s second most popular Operating System. 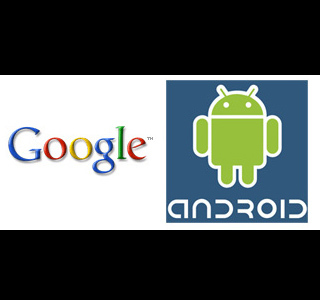 More than 200,000 smart phones powered by Android are being activated by Google, everyday. In a forecast, the Android will account for 17.7% of worldwide sales, up from 3.9%. One after the other, phone manufacturers are diverting to the powerful Android OS. Samsung, Sony Ericsson, Motorola and LG are planning to offer budget Android phones which might double the market share and leave behind iPhone sales worldwide by 2014. It’s a matter of Android really going more into the hands of the mainstream user. The iPhone will remain focused toward the higher end of the market, while through the end of this year and into 2011, all that growth you see in Android will come from the fact that most of the vendors who are backing it will release cheaper smart phones. Gartner says, that Android would lead in the race while Symbian would be on second and Apple’s iOS would be on third with about 15% market share. RIM would be pushed to fourth with the remaining 12% of the smart phone market share. This might be a major blow for all the smart phones who run other OS than Android.